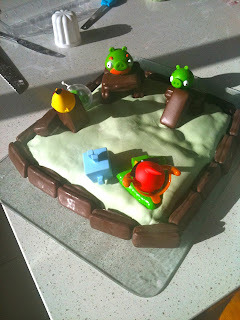 Sarah's Craft: Not a card! 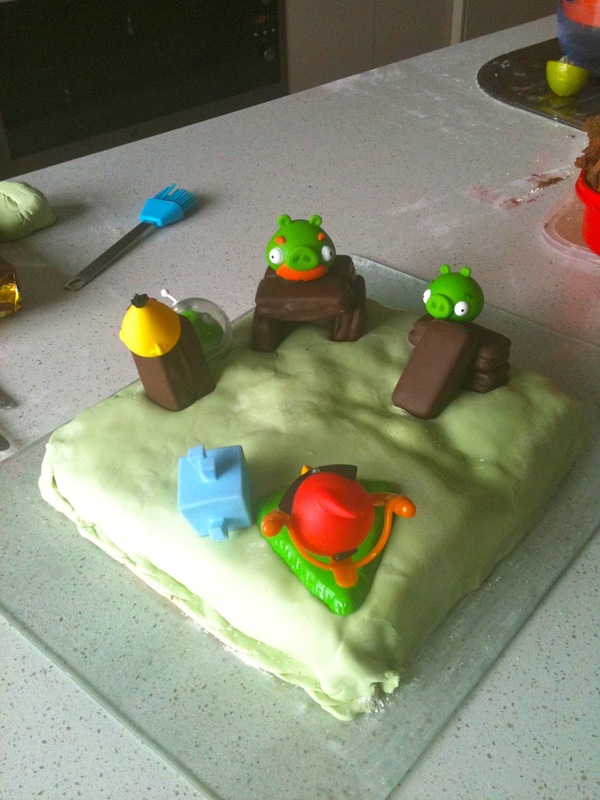 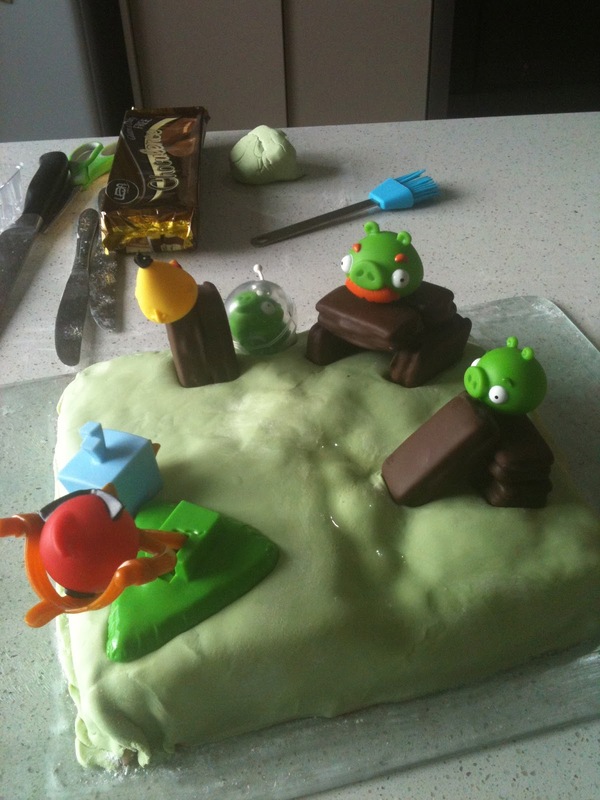 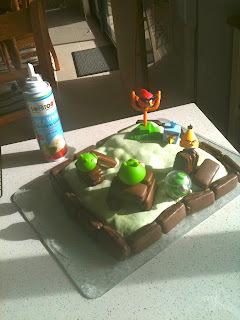 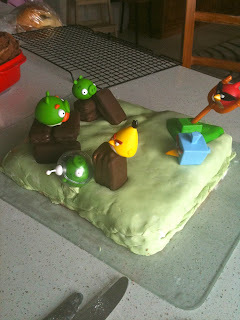 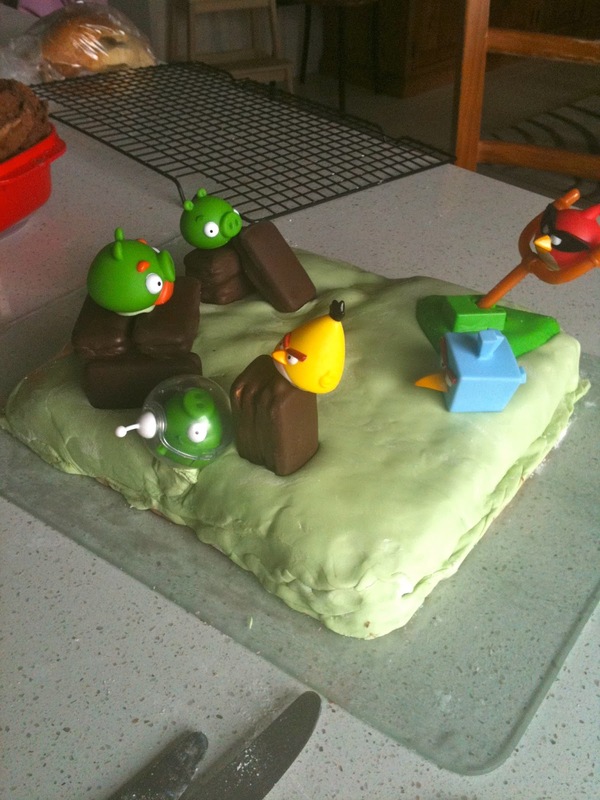 Angry Birds was the idea and since cake making is NOT my thing! 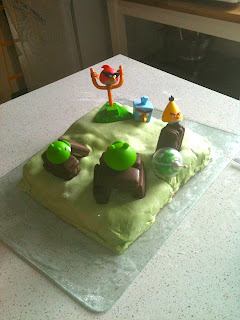 (Obviously) So Dairy Free, Egg Free chocolate cake with cherry drizzle covered in marzipan and green royal icing (natural food colours made from Chlorophyl) ... Dairy Free, Egg Free chocolate biscuits similar to TimTams.... and the boys angry birds toys stuck with royal icing.